"THE ITALIAN JOB" International Mod Rally has been going for 26 years and brings together mods from all over the world for a weekend of mayhem in the Italian seaside resort of Rimini. I attended for the first time and found it a real blast from start to finish. The evening events start late in the evening and finish around breakfast time the next day so some stamina is required! 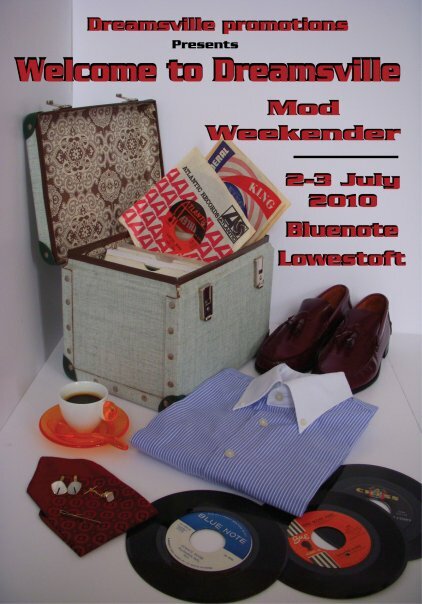 I'm told the numbers attending were much higher in the 90's but the event still attracts a big crowd of mainly younger mods, in their teens/early 20's, which is great to see, as well as the ubiquitous die hard mods - who include a big crowd from the UK. Many of the younger Italian mods, who dress in a mix of mod/skinhead styles, all go crazy for the ska sounds, which are saved for later in the evening/early morning, when things get really wild. But for me, the best part of the evening is taking a break from the excellent music to hang out outside and chat to mods of different nationalities as well as the very cool fellas from the UK. For Rimini itself think of Blackpool - it's a real party town - maybe not as wild as Blackpool but with pubs every 3 steps down the Viale Regina Elena (most of which have English pub names) you would be hard pressed not to have a good time. Unfortunately, this year, surprisingly bad weather in the Adriatic Riviera spoilt the Sunday rideout so everyone just cramed into the Bounty pub for some good Italian cooking and a great live set from the hammond groove combo: "Link Quartet"
The orginisers of The Italian Job are also involved in putting together the DREAMSVILLE mod event in the Blue Note club in Lowestoft on the 2-3 July 2010.